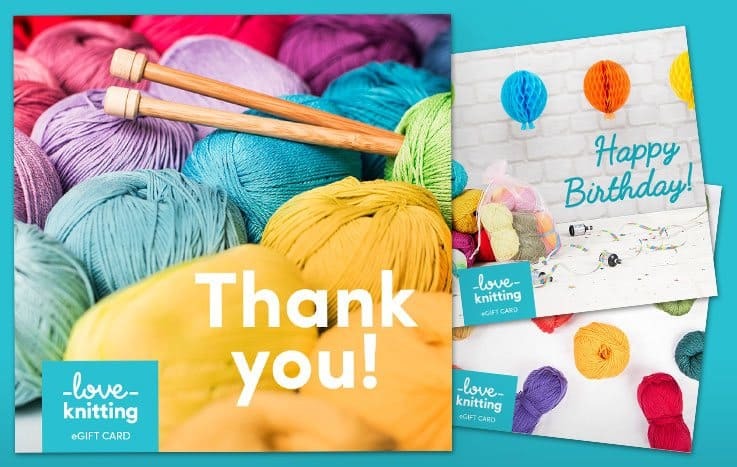 We are always happy to help with any knitting and crochet queries you may have - whether that be an interview, some yarn related facts and figures or a beautiful image from our large stash of product and lifestyle photo collection. We're dedicated to building a community that supports and unites makers worldwide: a home where makers can be inspired, connect, share and create. 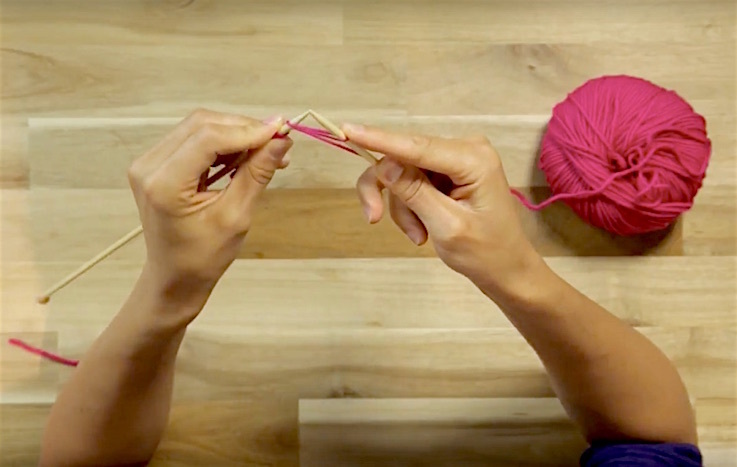 We're passionate about bringing the joy of knitting and crochet to the world. Want to get in touch? 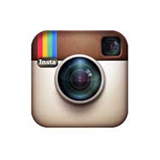 Please email us at pr@lovecrafts.com. We look forward to chatting! We hosted another fun Reclaim your Lunch Break event with Stylist at Drink Shop Do. We were joined by Sew Yeah and Steel and Stitch for a number of fun creative and craftsy workshops! Enjoy this free blanket pattern that takes a fresh new take on the granny square pattern and get all your supplies from LoveKnitting. 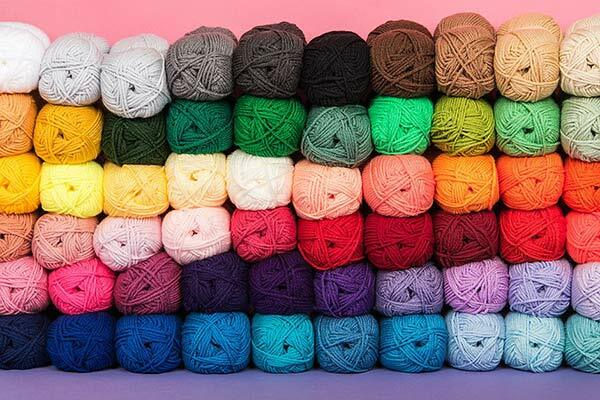 LoveKnitting Blog Editor, Merion Willis gives her top tips on how to mark life's most special moments with an everlasting knit. 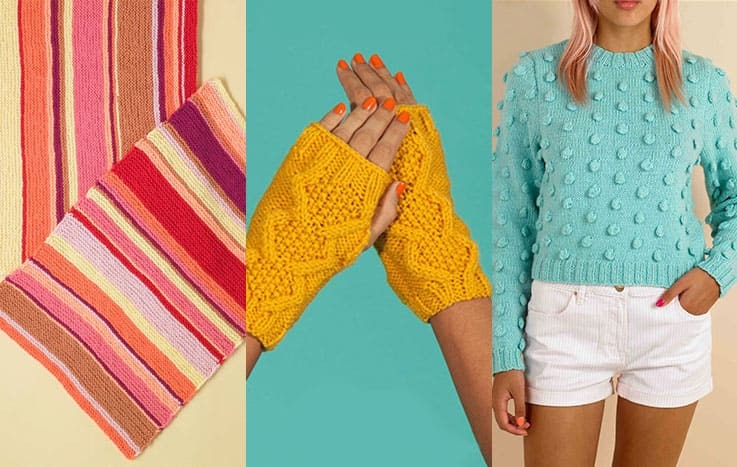 LoveKnitting give their top tips for taking on knitting as a new hobby for 2016. LoveKnitting provided Lorraine with an exclusive Christmas Stocking to be auctioned off on Tuesday 15th December, 2015 for the Text Santa campaign. Simon Cowell's dogs sport LoveKnitting Christmas sweaters designed Alice Neal. Giovanna Fletcher joined the LoveKnitting team to learn how to knit for her Take 5 feature on ITV Lorraine. 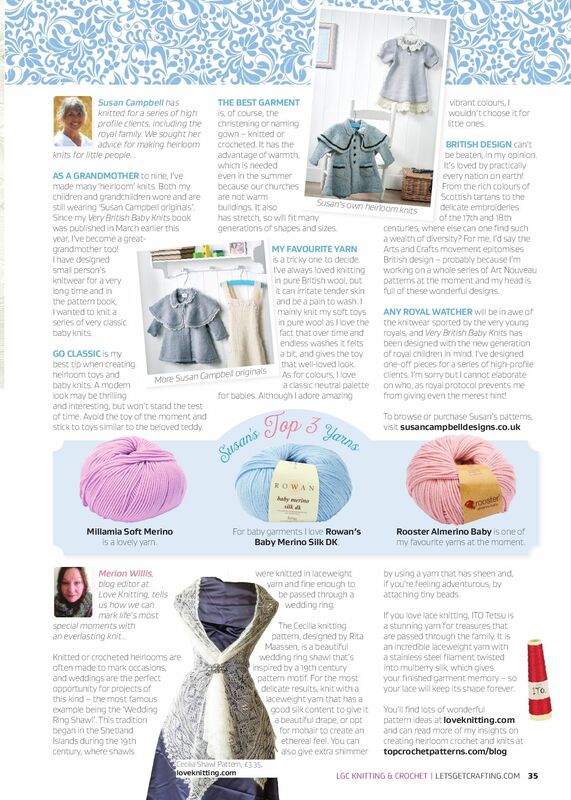 The LoveKnitting customer service team are featured in the 'Yarn Review' feature. 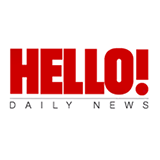 Featured in their selection of Britain’s start-ups with the fastest-growing sales over the last two years. We hosted workshops in collaboration with Stylist magazine's Reclaim Your Lunchbreak Day, joined by designer Sincerely Louise, blogger Steel & Stitch and blogger and fashion columinst Sew Yeah. We were delighted to find that Stylist Magazine had featured our our LoveKnitting crochet hooks in their Style List feature, sparking a national campaign with Stylist for their 'Reclaim Your Lunch Break'. 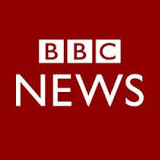 Sian and Claire from the LoveKnitting team were invited to knit on BBC Breakfast with Bill Turnball to speed knit Andy Murray in time for his game at Wimbledon 2015. LoveKnitting designer, Sarah Hatton's summer pattern featured in issue 73 of Let's Get Crafting: Knitting and Crochet, the UK's all-in-one mag pack. We were delighted to see Sarah's gorgeous cotton DK pullover make a splash for this summer issue. We hosted workshops in collaboration with Stylist magazine's Reclaim Your Lunchbreak Day, joined by designer Sincerely Louise. 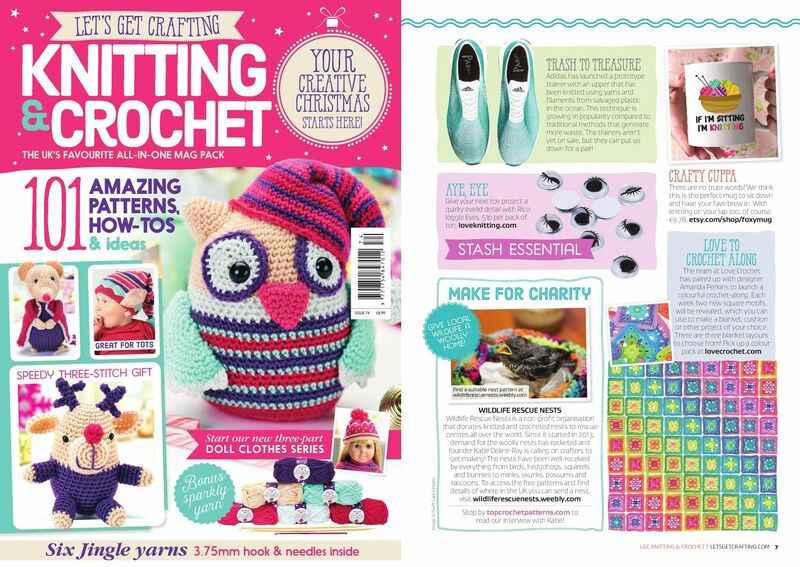 Betty the Bird crochet kit from Paintbox featured in Healthline's feature 'Essential Gifts for the DIYer', a list of gifts for those who love to craft. 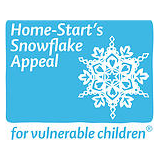 LoveCrochet launched their very first charity campaign with Kirstie Allsopp and Home-Start encouraging crocheters to make snowflakes and donate to the cause. 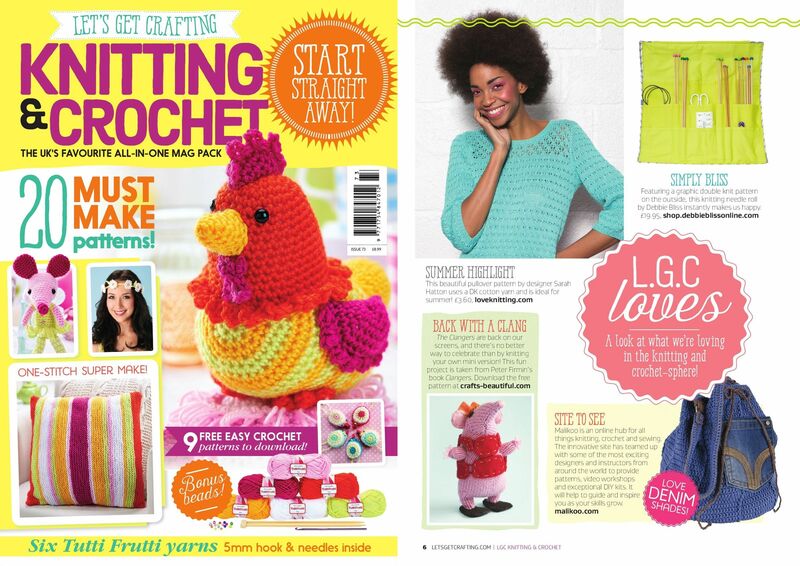 LoveCrochet's Summer CAL featured in issue 74 of Let's Get Crafting Magazine. Highland Europe reports on how LoveCrafts unique social and transactional experiences help creators achieve their dream projects. Craft Business reports on LoveCrafts recent growth. 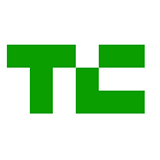 Tech Crunch features LoveCrafts growth. Join the LoveKnitting KnitBus where knitting comes to life.